Please join me in welcoming B.R.A.G. Medallion honoree Barbara Lamplugh to A Literary Vacation today! Barbara has been writing since the 1970s. 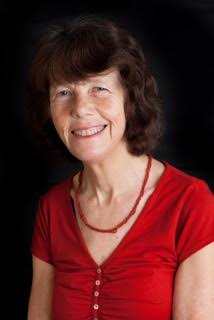 Her love of adventure and travel took her first on an overland journey to Kathmandu, which inspired her to write Kathmandu by Truck (1976) and then on the Trans-Siberian railway, by boat to Japan and around SE Asia, which led to her second book, Trans-Siberia by Rail (1979). Becoming a mother put a stop to such long travels but not to writing. She turned instead to fiction, inspired by the often fascinating and unexpected stories of ordinary people she came across in her work in the community. She also wrote occasional articles for magazines and newspapers, including The Guardian and Times Educational Supplement. In 1999, with her two children now independent, she moved to Granada in Spain, where Secrets of the Pomegranate is set. For several years she worked as a features writer for Living Spain magazine, contributing around a hundred articles on topics ranging from Olive Oil to Machismo to Siestas. Alongside her writing, she teaches English, edits and translates. With five grandchildren in the UK, she makes regular visits there. Her other passions include cycling, dancing, jazz and, of course, reading. Hi Barbara, and welcome to A Literary Vacation! To start off with, please tell us a little about your book, Secrets of the Pomegranate. Hi Colleen and thank you for inviting me. 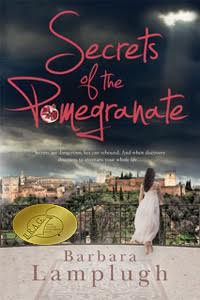 Secrets of the Pomegranate is a contemporary novel set in Granada, Spain – my home for the last 17 years. The main characters are two English sisters: spirited, adventurous Deborah who has lived in Granada since 1985 and Alice, her more cautious and conventional sister. The novel opens dramatically in March 2004 with the terrorist train bombings in Madrid. When Alice hears that Deborah was travelling on one of the trains, she flies out to Spain with 9 year-old Timmy and learns that her sister is in a coma. At Deborah’s house in Granada, with her sister’s Spanish partner and 20 year-old son, Alice waits for more news. Meanwhile, she embarks on a desperate hunt for Deborah’s diary, terrified that the secret they’ve kept for ten years will be revealed. 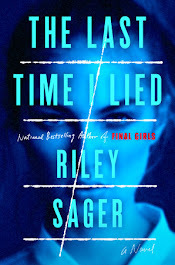 The secret (with potentially life-changing consequences for Alice) is what keeps readers turning the pages but there are also deeper themes, some highly topical, for example, our tendency to make superficial judgments based on prejudice and cultural difference (especially in relation to Muslims), or the unpredictable repercussions of secrets and lies – both personal and political. Without giving too much away, I can just say that Deborah’s Moroccan ex-lover is another important character. It’s a novel about love and loss, a very human story about relationships – between lovers, between sisters and between mothers and sons – and it brings up some difficult moral dilemmas for both sisters. I like to think it’s a story that engages the brain as well as the emotions of the reader. Secrets of the Pomegranate, while threaded with various complex relationships, also highlights the centuries long struggles and prejudices between the Muslims and Christians in Granada, Spain. Did you do any historical research into this when writing your story? In my opinion, the conflicts in Granada’s past (it was the last city in Spain to fall to the Catholic monarchs after 800 years of Muslim rule) are still felt at some level by its inhabitants, and the relatively recent arrival of N. African immigrants as well as the March 2004 attacks brought these feelings to the surface from somewhere deep in the psyche. Of course Islamophobia was already rife in America, Europe and elsewhere after 9/11, but it seemed to me that the paranoia and prejudice I observed in Granada after the Madrid bombings had a particular quality that derived from its history. The novel is set in contemporary Spain so I didn’t need to do much historical research – the broad knowledge I already had was enough. However, my protagonist Deborah develops a fascination for the Moorish civilisation of al-Andalus. Their society was highly advanced in many spheres but what interests her in particular is the surprisingly liberal attitude to women. This was an area that I did have to research – and I must say it hooked me as much as it did Deborah. I see that you are an extensive traveler. How has traveling influenced your writing? Are there any other locations you’ve traveled to that you eventually hope to write about? Any key places left on your bucket list to travel to? I started out as a travel writer after being inspired by two extensive overland trips I made in the 1970s. Kathmandu by Truck and Trans-Siberia by Rail described those journeys. After I moved to Spain more than two decades later, I was taken on as a features writer for the magazine Living Spain and contributed many articles over the years. Living in and integrating into a new country made me realise the huge difference between visiting a country as a tourist or traveller and being part of the community. You see and understand the place in an entirely different way – with the eye of an insider – and this obviously increases the longer you live there. The experience of living in Granada taught me that my impressions of countries I had travelled to and viewed from the outside were limited and superficial in comparison. I still love travel and have many places left on my bucket list (Central and S. America in particular) as well as the desire to return to some I’ve already been to. India, for example, is a country I’m drawn back to repeatedly. I’m much choosier now about how I travel, preferring to stay with families where I have the opportunity to talk to people in depth and gain a better insight into their country. I’ve written a few short articles about other countries, including India, several published in The Guardian, but I wouldn’t presume to write a book or set a novel in a country without the depth of cultural awareness that comes from living there. On the whole, I aim to avoid routine – every day and every week is different – but I’m more creative in the morning so I try to keep as many mornings as possible free of other commitments and sit down at my desk with the sun coming in through the window (inspiring view of hills and trees and part of the Alhambra!). Lunch is the main meal in Spain so around 2pm I take a break to cook and eat (usually out on the terrace), read and doze for an hour or so. I may return to writing later in the afternoon or evening. Keeping a balance in my life isn’t easy but I do try to balance writing with other activities. If I didn’t, I’d become a complete hermit and slob. I live alone so socialising with friends is very important. I do a little English teaching and editing, which has to be fitted in too. And I need exercise so I make time to go for walks in the hills, swim, cycle and do pilates. I also go to the UK several times a year to see my children and grandchildren, who are very important to me. During that time, I’m a ‘granny’ rather than a ‘writer’. I only joined Facebook shortly before my book came out. It has certainly been useful to promote Secrets of the Pomegranate and interact with some of my readers. I set up a website at around the same time and write a regular (though not very frequent) blog. This gives me the chance to offer background information to my readers and keep them informed about my work in progress. As examples, I posted a pictorial blog with photos of some of the places that feature in my novel, a blog commenting on the status of women at different stages of Spain’s history and another about the myths and stories associated with pomegranates. 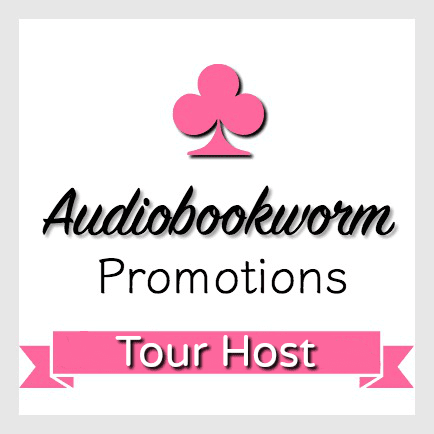 I also participated in a blog tour with a giveaway and may well follow up with another similar one. I’m on Goodreads and I’ve had two or three interviews like this one, which I hope might interest my readers. The honest answer is that I was tired of rejections and the increasingly offhand attitude of some agents – understandable perhaps when you realise the volume of manuscripts they receive but frustrating nevertheless. The length of time waiting for replies that sometimes never came was dispiriting. I had six completed novels I’d poured time and energy into over many years that were just sitting on my shelves or on my computer not being read by anyone. When a friend recommended the services of SilverWood Books, I visited them and was impressed. One of the attractions of going Indie was the speed of the process and the freedom to be in control of it all – design, price, how many to print, and so on. 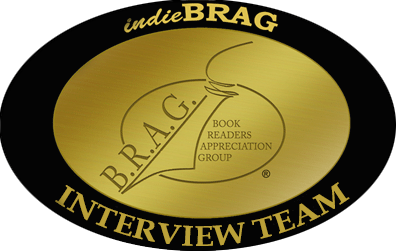 How did you discover indieBRAG and what does it mean to you to have Secrets of the Pomegranate awarded the BRAG Medallion? 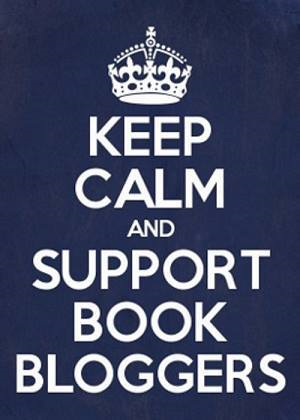 I discovered IndieBRAG through SilverWood because several of their other authors have been awarded the medallion. Having my novel honoured in this way meant a lot to me. Self-published authors lack the automatic recognition given to those traditionally published. As an alternative seal of approval, it has given me the confidence to call myself a writer and be taken seriously. Thank you, Barbara, for taking the time to answer my questions! You can learn more about Barbara and her book on her website, and connect with her on Facebook. We are delighted that Colleen has chosen to interview Barbara Lamplugh, who is the author of Secrets of the Pomegranate, our medallion honoree at indieBRAG. To be awarded a B.R.A.G. Medallion ® , a book must receive unanimous approval by a group of our readers. It is a daunting hurdle and it serves to reaffirm that a book such as Past Encounters merits the investment of a reader’s time and money. Great interview. 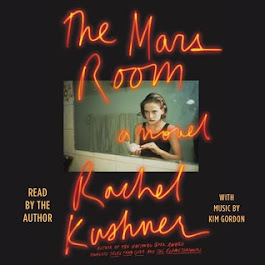 This book is now on my TBR list. I'm intrigued by it. Beautiful cover and I love the title as well. Spain is a place that I'd love to visit. Almost went there six years ago with my husband and sons but we decided to spend our three weeks in France instead. One day I'll make it there. Hope I get to read this one soon! I would love to go to Spain someday as well! It looks and sounds just magnificent. I haven't been to France, either, so I would love to go there as well. So many places on my bucket list! Thanks for stopping by, Letty :)!